Although I’m more than a little late discussing this, there has been quite a bit of attention paid to the Proenza Schouler PS1 bag in the fashion blogosphere lately. I figure that it’s still worth writing about though since it is so relevant to my current PS1 bag challenge! Back when I was in Mexico a few weeks ago I noticed an article on the Huffington Post discussing the PS1 bag and a very similar looking bag being sold at Target (gotta love resorts with free Wi-Fi, a girl still has to keep up with her fashion and gossip, even on vacation!). 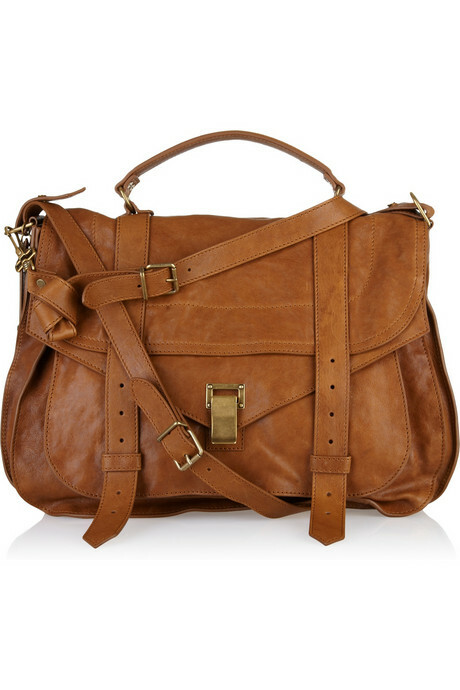 Apparently, several people had discovered a messenger bag by Mossimo (a brand sold at Target that also used to be sold at Zellers here in Canada) that they swore was a dead ringer (albeit a much less expensive, less luxurious ringer) for Proenza Schouler’s coveted bag. “What’s the big deal?” you may think, “Bags are knocked-off all the time!”. Well it’s more the circumstances surrounding the situation that make it a bit of a big deal. You see, Proenza Schouler have collaborated with Target in the past creating a collection for Target’s Go International campaign. Having Target turn around and sell something that they believe is a blatant copy of one of their products (Lazaro Hernandez was quoted as saying that Mossimo even got the attitude, slouch, and weight of the bag right) has made them quite upset. Apparently, they had no idea about the alleged knock-off until Jack McCollough’s sister emailed him a photo of the Mossimo bag at her local Target store! Now there has been a lot of fashion blogging and discussion about this whole situation. 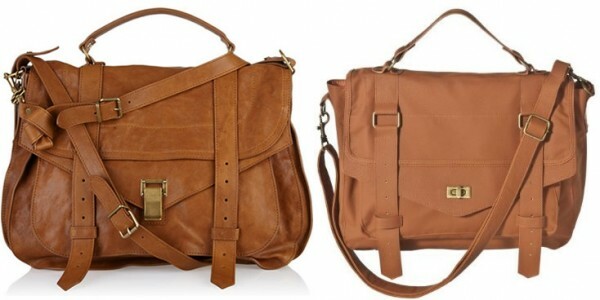 Some people think that the Mossimo bag is a blatant copy, others don’t. Some think that the PS1 bag itself is just a reincarnation of the classic leather messenger bag that has been around for ages. Also, some have people have pointed out that you can’t really compare a faux leather bag to the real thing, especially when the Mossimo bag retails for $34.99 and the Proenza Schouler bag retails for $2350 (on Canadian the Net-A-Porter site at least). So what do you think? Is this a case of copying or is it just a coincidence? Did Proenza Schouler overreact or should they be upset? I’d love to hear your opinions!